Shree Comforts provides a homely ambience with its humble interior design and lovely decorations. The hotel is close to a number of eateries. 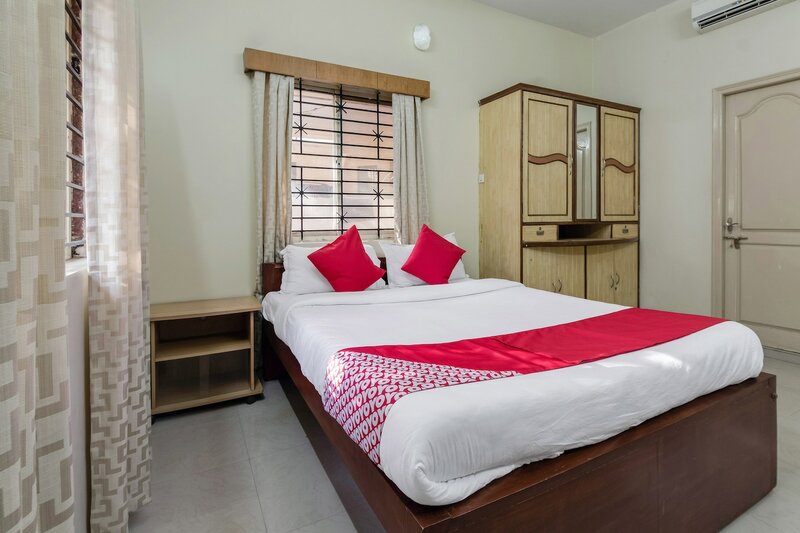 The rooms are painted in cheerful and soothing colors and are furnished with wooden furniture. The designer curtains add a touch of liveliness to the room. The hotel provides parking facilities to all guests. The reception has also been elegantly decorated and accepts card payments in all forms. CCTV cameras have been installed throughout the property to ensure safety and security of guests. Laundry facilities are provided by the hotel. Also, a constant power backup source is installed in the hotel premises.